The Digital Research Library of Illinois History Journal™: The Claus Grocery Store at 11th and Spruce streets was a Springfield landmark for about 90 years. The Claus Grocery Store at 11th and Spruce streets was a Springfield landmark for about 90 years. This picture from the State Journal-Register photo archives shows the store in its full glory in 1945. 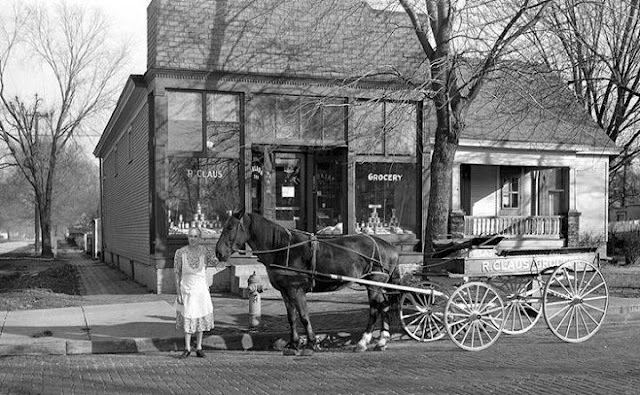 The horse-drawn carriage in the picture remained in use for another 29 years, as Claus continued using it to deliver groceries until 1974, then sold animal feed and farm products until closing in the mid-1990s. The Claus Grocery Store was built in 1905 by Joe Claus. It is a rectangular, one story, clapboard sided frame building with a gable roof. 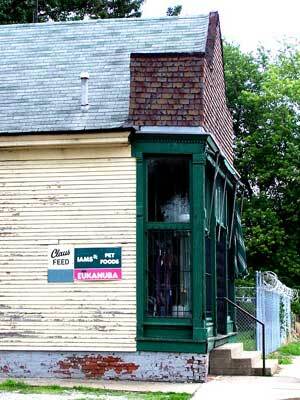 The store was attached to a two story frame house. There also was a two story frame barn and another large frame shed behind the store and house. The exterior appearance of the buildings has changed little since they were built. The interior of the store also looks much as it must have when it was used for a grocery store. It still has an unfinished wood floor, a pressed metal ceiling tiles, an old wood counter, an old manual adding machine with a lever crank, and an old wooden cash register. 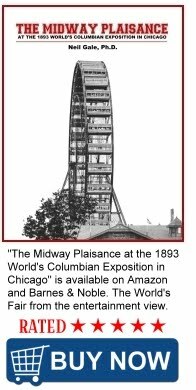 The significance of the structure comes from the unchanged appearance of a building constructed over 110 years ago. Architecturally, the Claus Grocery Store typifies the modest one story neighborhood grocery stores that were located in many of Springfield’s older residential neighborhoods. The store’s wood floor, pressed metal ceiling tiles, and large plate glass show windows with glass transoms are typical of the detailing found in neighborhood grocery buildings of that era.